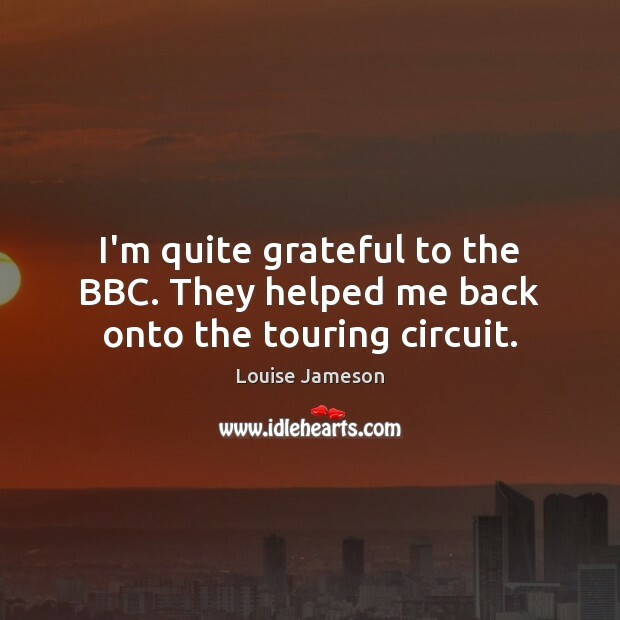 Quotations about Bbc. Quotes to stimulate mind and drive action! Use the words and quote images to feed your brain inspiring things daily! 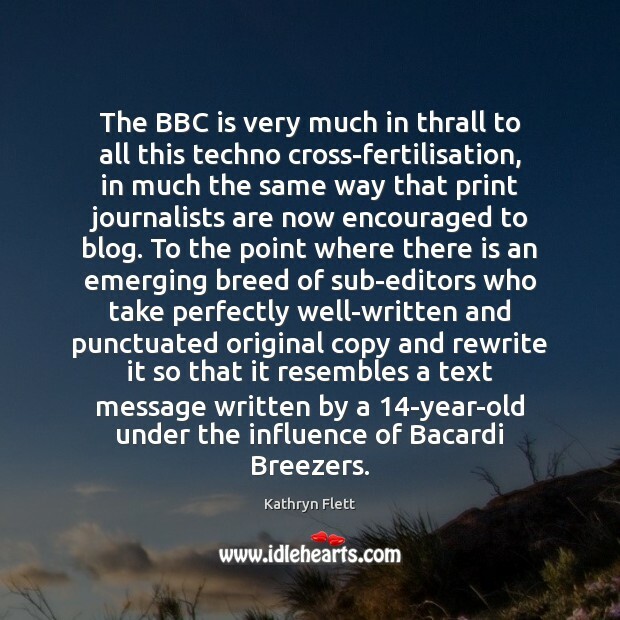 The BBC is very much in thrall to all this techno cross-fertilisation, in much the same way that print journalists are now encouraged to blog. To the point where there is an emerging breed of sub-editors who take perfectly well-written and punctuated original copy and rewrite it so that it resembles a text message written by a 14-year-old under the influence of Bacardi Breezers. 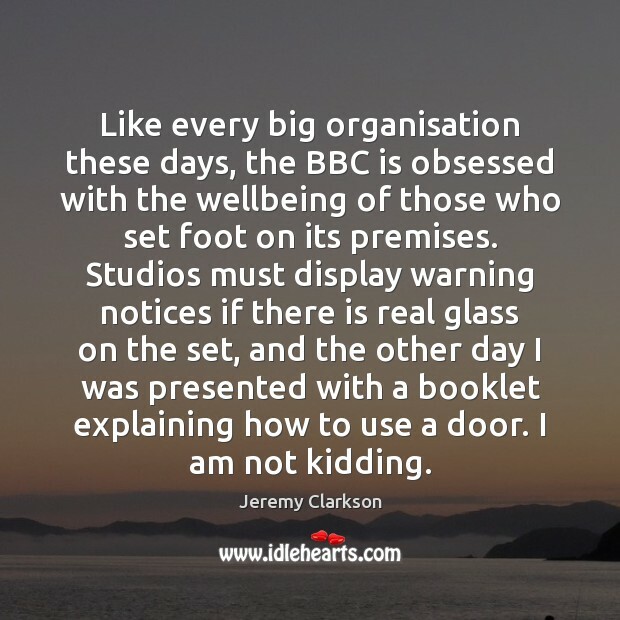 Like every big organisation these days, the BBC is obsessed with the wellbeing of those who set foot on its premises. Studios must display warning notices if there is real glass on the set, and the other day I was presented with a booklet explaining how to use a door. I am not kidding. 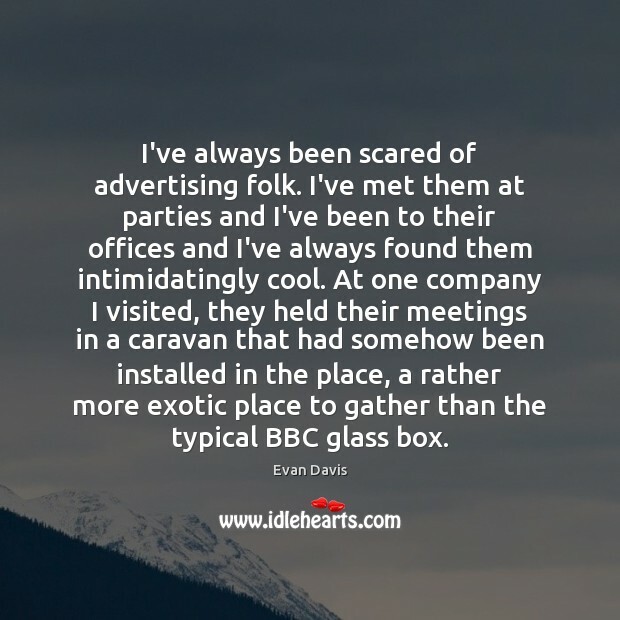 We're big fans of the show on BBC, and some of the greatest actors in film and television have done this character, from Basil Rathbone to Nicol Williamson to Michael Caine. 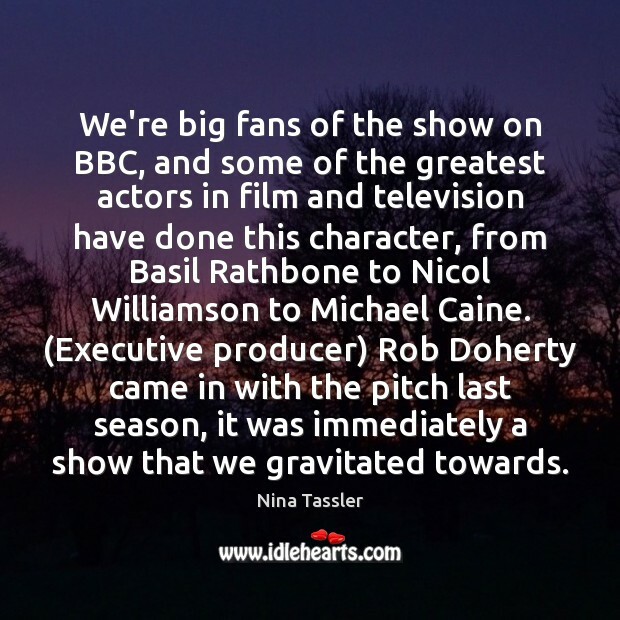 (Executive producer) Rob Doherty came in with the pitch last season, it was immediately a show that we gravitated towards. 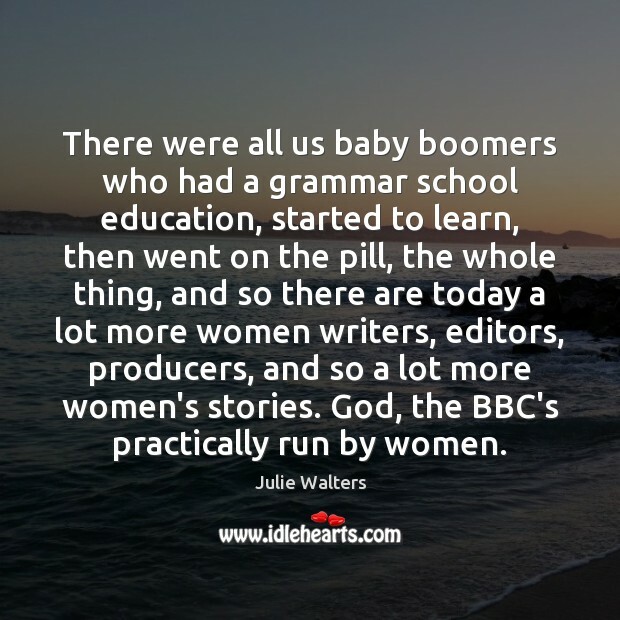 There were all us baby boomers who had a grammar school education, started to learn, then went on the pill, the whole thing, and so there are today a lot more women writers, editors, producers, and so a lot more women's stories. 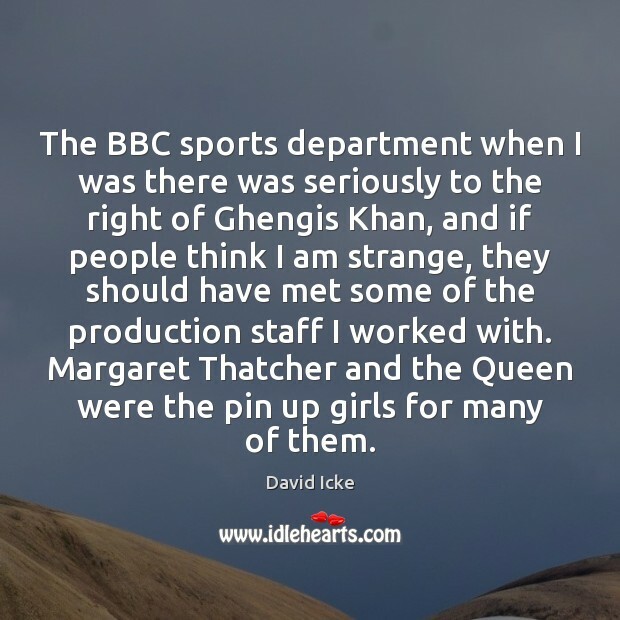 God, the BBC's practically run by women. 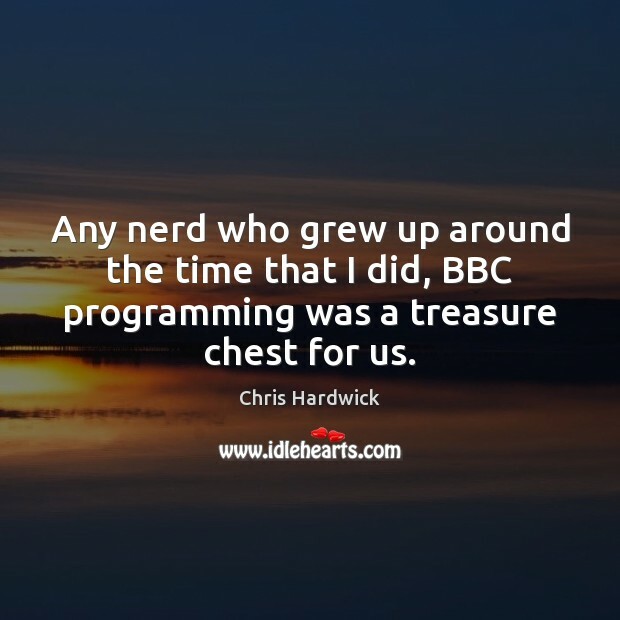 Any nerd who grew up around the time that I did, BBC programming was a treasure chest for us. I won't live in L.A. again, hell no, my friends tell me s**t when they come over I don't want to hear. I don't even know who got married and who got pregnant. You turn on the news in L.A. and it is all gossip about people. All the stuff that is going on in the world right now and this gossip is the news?... 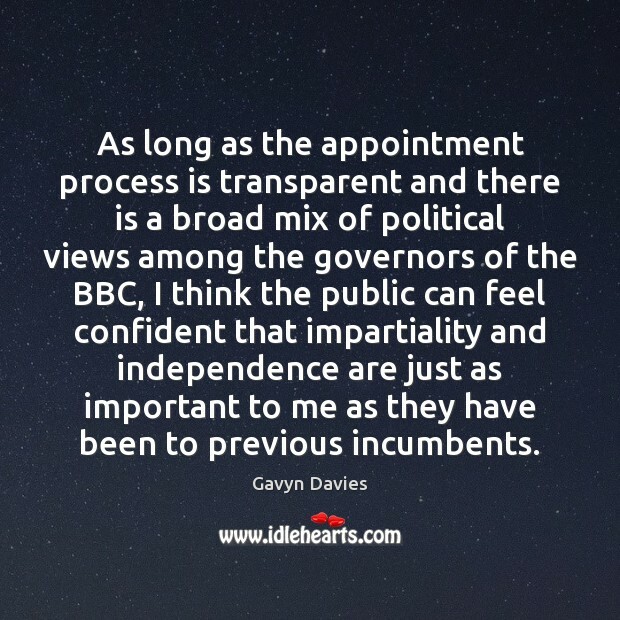 I love the BBC. I haven't heard myself mentioned on TV since I have been here. That has been really weird for me, and great. 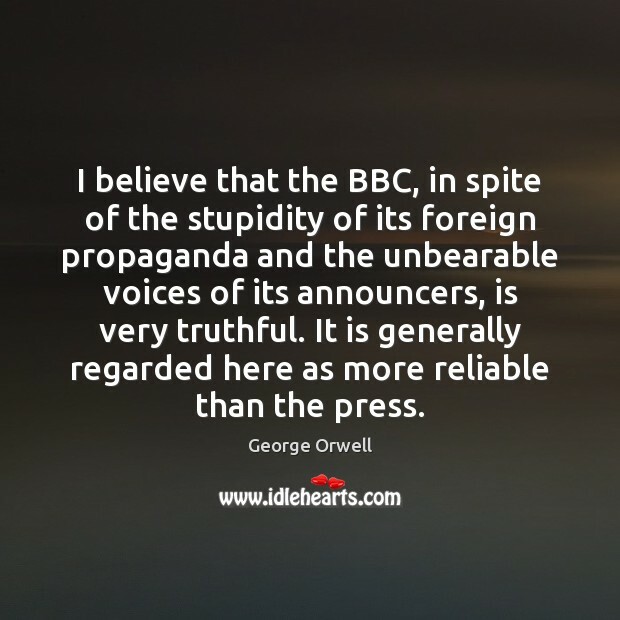 I believe that the BBC, in spite of the stupidity of its foreign propaganda and the unbearable voices of its announcers, is very truthful. It is generally regarded here as more reliable than the press. 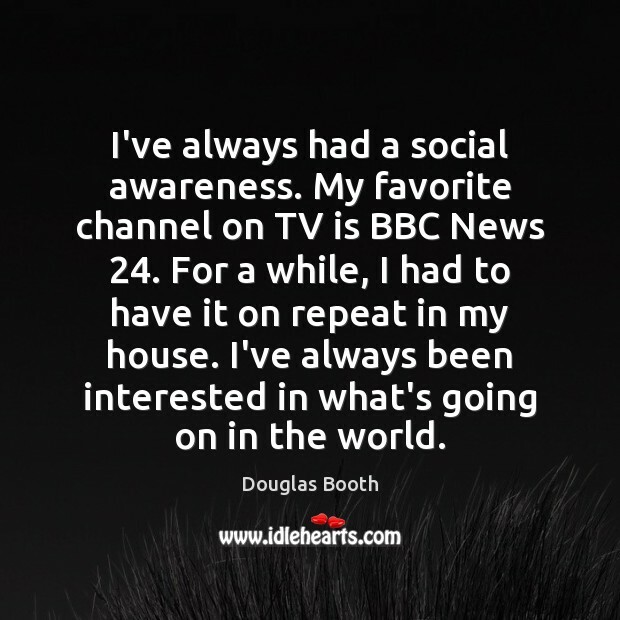 I've always had a social awareness. My favorite channel on TV is BBC News 24. For a while, I had to have it on repeat in my house. I've always been interested in what's going on in the world. I'd say, don't listen to what anyone says: you're good. Go put your anorak on. Get your thick bottle-top specs. 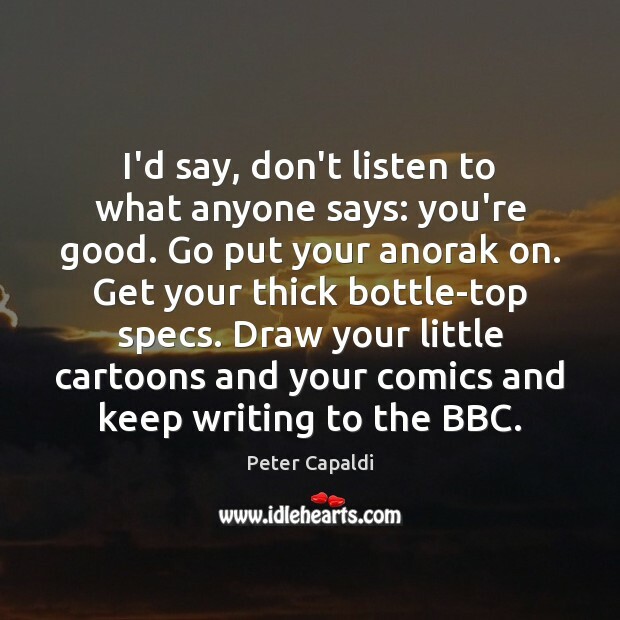 Draw your little cartoons and your comics and keep writing to the BBC. 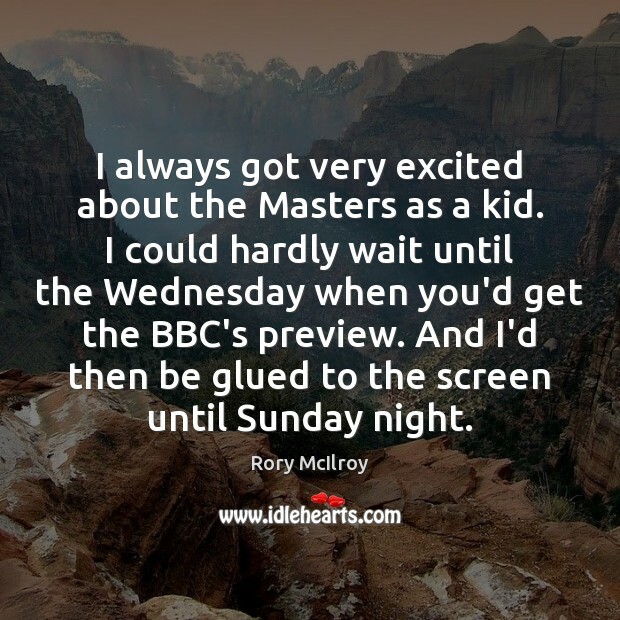 I always got very excited about the Masters as a kid. 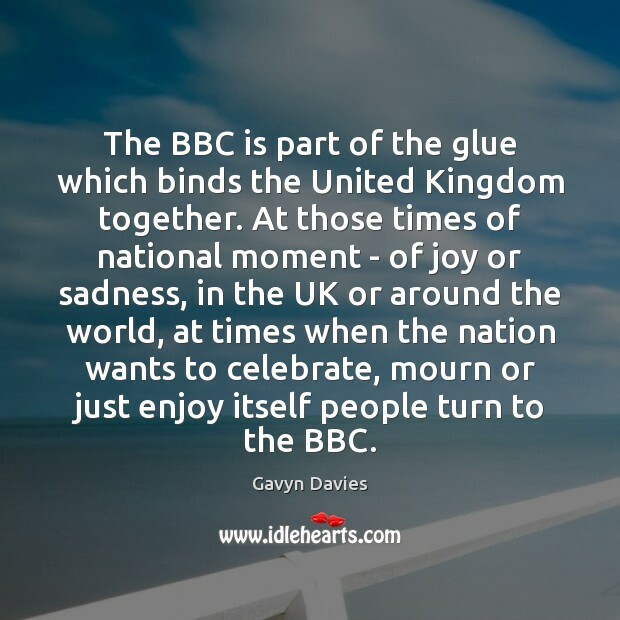 I could hardly wait until the Wednesday when you'd get the BBC's preview. And I'd then be glued to the screen until Sunday night. 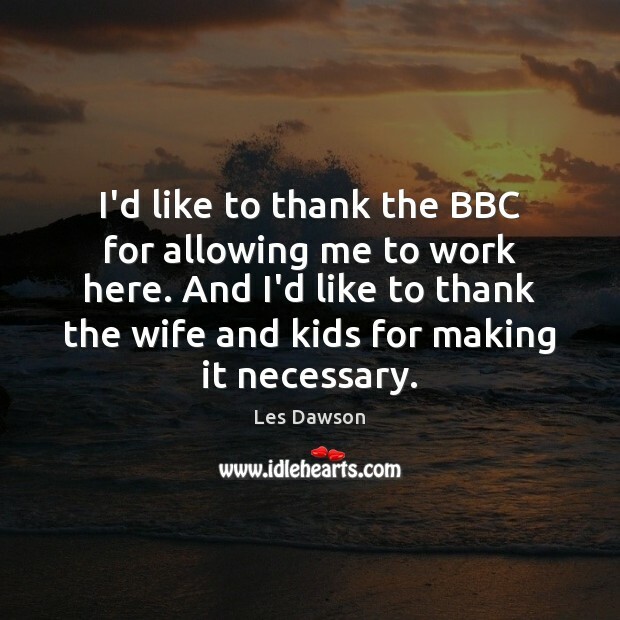 I'd like to thank the BBC for allowing me to work here. And I'd like to thank the wife and kids for making it necessary. 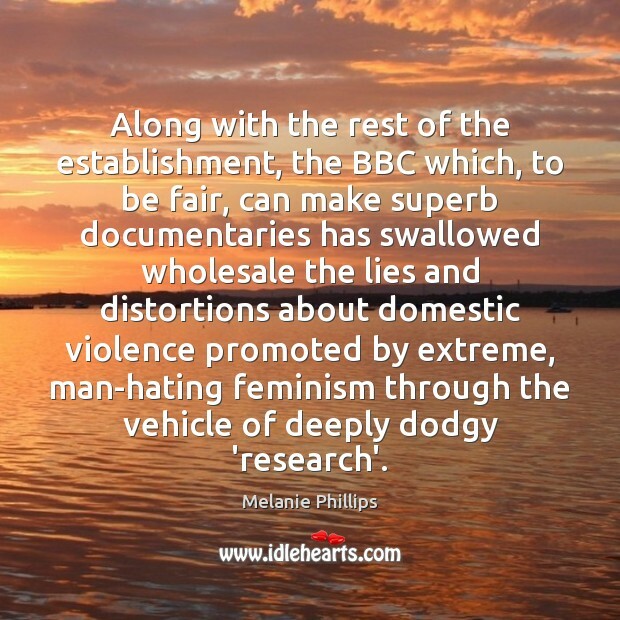 Along with the rest of the establishment, the BBC which, to be fair, can make superb documentaries has swallowed wholesale the lies and distortions about domestic violence promoted by extreme, man-hating feminism through the vehicle of deeply dodgy 'research'.